Beech trees are showing their autumn colours as the leaves start to fall. 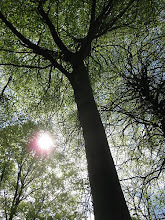 There were a few sunny intervals today as we walked through the woods above Dursley and they are well worth a visit. Colours in the autumn evening sunshine.